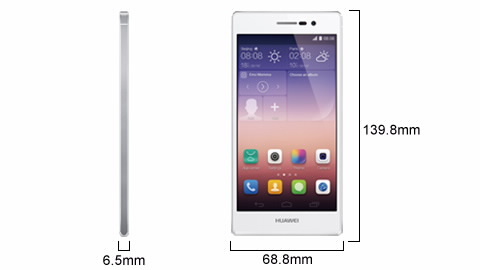 Huawei Ascend P7 4G 16GB Smartphone features a 5" display, Quad-core 1.8GHz CPU, 13 megapixel rear camera and 8 megapixel front camera. No power? No problem. When your Ascend P7’s battery charge begins to run down, Ultra Power Saving mode shuts down the functions that drain your battery the most, leaving calling and texting and giving you up to 24 hours standby on just a 10% charge. Scan for problems, check your settings and instantly optimize your Ascend P7, just by touching one key.